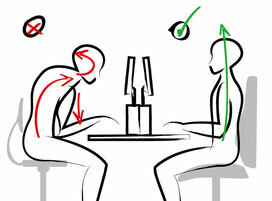 Are you looking to improve your posture, health and performance in your working day? 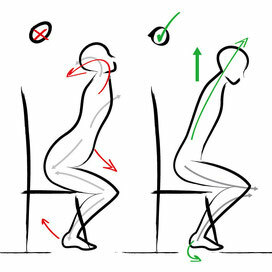 You're probably visiting this site because you have back pain, RSI or stress. Welcome and well done. You've taken the first step in resolving the problem, not just treating the symptoms. For ever. Have you found other treatments only temporarily help your symptoms but not the underlying cause? Alexander Technique lessons deal with the underlying problem and puts you in control, teaching you how to take responsibility for yourself. The Alexander Technique is clinically proven, straightforward, and employed by multinational companies including Google and the BBC to help staff cope with the challenges of office life. It gently helps you unlearn harmful patterns of physical and mental tension that cause a wide range of common problems through a method of embodied mindfulness. It's the logical solution, showing you how to do a good deal less, so you can achieve a great deal more! "A painful neck injury led to me contacting Adrian. Medication was not getting me comfortable and I was waiting for surgery. 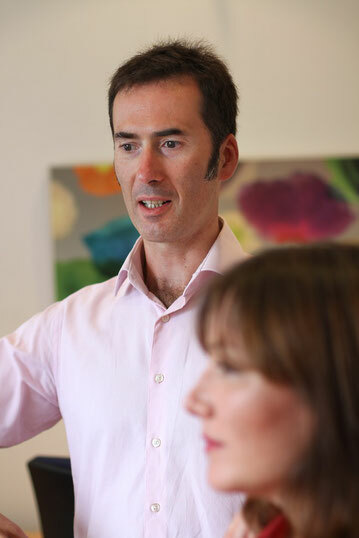 Adrian has a skillful and subtle intelligence with the body that he shares with his clients, beginning a secure road to recovery. Pain relief occurs as a natural consequence. I would thoroughly recommend him." "I went to see Adrian with a long history of back problems and pain. I had no real idea what to expect or whether Alexander technique would help at all. So I was delighted when my pain levels began to decrease and I was able to move more freely and sleep better. Adrian practices with humour, depth and intuition and has made a tremendous difference. I'll be going back...."
The ATLAS randomised control trial was run by the Department of Health Services at the University of York and funded by Arthritis Research UK. It's aim was to assess clinical effectiveness for chronic neck pain. The results showed that there was a statistically significant and clinically relevant reduction in pain even after a year of the initial lessons. Chronic neck pain is a common condition. A UK survey has shown that 18% of households reported neck pain with over half reporting that it lasted more than a year. Chronic neck pain has become second most common physical complaint for consulting a GP, no doubt from the increase in the use of computers and mobile devices.